The project and the exhibition Freeing Space critically confronts many of the issues imposed with the abrupt and ideologically and politically forceful transformation of the identity of the City of Skopje. 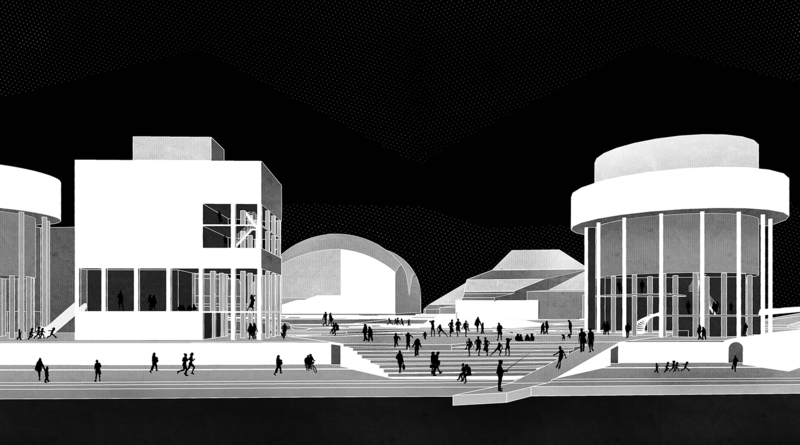 In an utterly intensive construction offensive entitled “Skopje 2014”, which occupied the city center with endless arrays of flamboyant styrofoam facades and pompous bronze monuments, architecture and urban planning were misused for a frivolous disposition of the public space, and for capturing, suppressing or negating any prior architectural achievements. 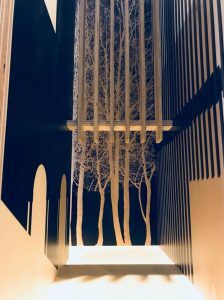 The proposal by the curators Slobodan Velevski and Marija Mano Velevska, as well as the four teams of architects assembled for the project Freeing Space, which was organised and presented within the Macedonian pavilion at the 16th International Architecture Exhibition in Venice in 2018, takes off from the loss of public space, its critical review and the restitution of the values of free space in an architectural and social sense. 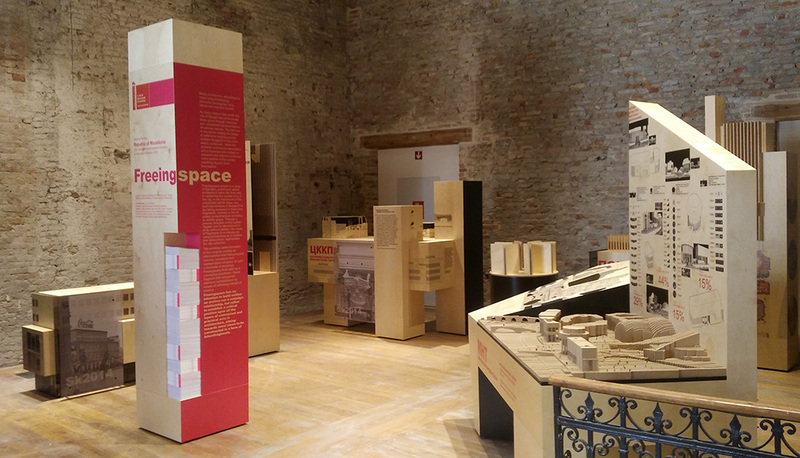 The Macedonian participation at the 16th International Architecture Exhibition – La Biennale di Venezia, entitled Freeingspace, identifies the concept of freedom and ethics as discursive trajectory of architecture and space. The title itself embraces a double meaning: besides the one that sees freeing as an active form, or an act of operation, the prefix freeing– as an adjective describes and defines a space that sets free, indicating the immanent potential of space to create a sense of freedom. 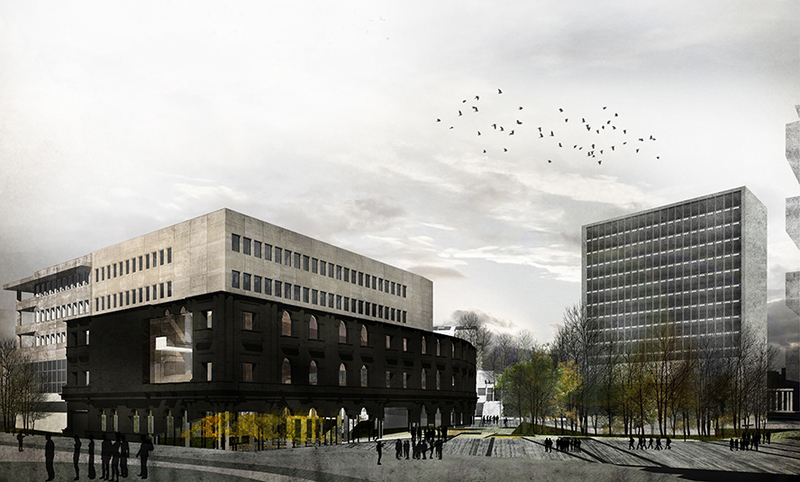 Freeingspace concept departs from the processes of transformation that the city of Skopje has been subjected to in its encounter with the general concept of modernity. The last one in the series -taking the shape of extensive construction activity coded under the name of Skopje2014 (SK2014) has been widely publicized, while the extreme controversy associated with it have become subject of research and criticism in almost every sphere of the society reaching beyond local boundaries.Although multifaceted, its prime and final effect concerns materiality and space. 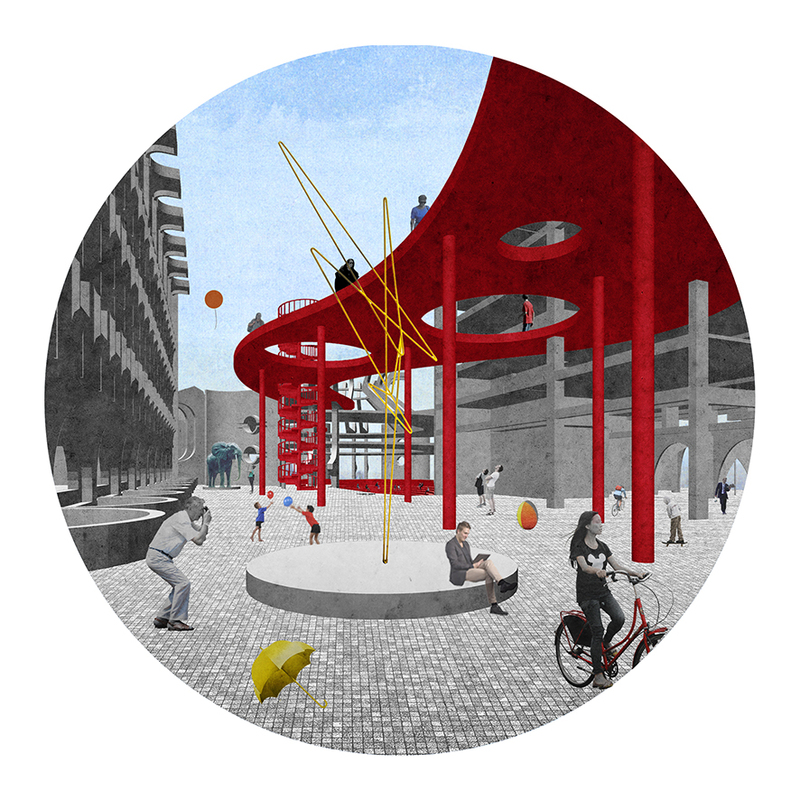 For that reason, Freeingspace is a story of liberating publicness where architecture takes the front role in reclaiming the spatial unity of the city. In the framework of the unsolicited call for ideas, key built interventions of SK2014 are being reviewed in distinctive fragments, contrary to the imposed comprehensive tendency to solidify space. Through a precise selection of this ‘spatial heritage’ and by deconstructing its notional pattern, the value of fragments is re-introduced, using architecture as a medium that retroactively regenerates the city collective. The exhibited Freeingspace projects objectify the meaning of public buildings as public spaces. It takes four distinctive sites within the inner city area of Skopje exemplifying architecture as both a heroic outburst when originally build and as mere representational commodity in its recent recast. The exhibition takes formation of four singular entities as informational solid that juxtapose memory, perception and representation of space. In such a multitude of meanings Freeingspace finds itself as a conceptual prosthesis, future fragment that transcends repulsive contradictions by means of re-thinking instead of erasing. a vertical element where the possibility of these architectural entities to anticipate possible qualitative modifications is tested, through the architectural projects shown on them, this segment transgresses the existing reality into the domain of what could be, thus becoming a possible future fragment.